Royal Enfield is said to have started delivering the Classic 500 with ABS in India. The Stealth Black and Desert Storm are the two motorcycles that have received dual-channel ABS. The rest of the Classic 500 range to receive this life-saving safety feature in the days to come. 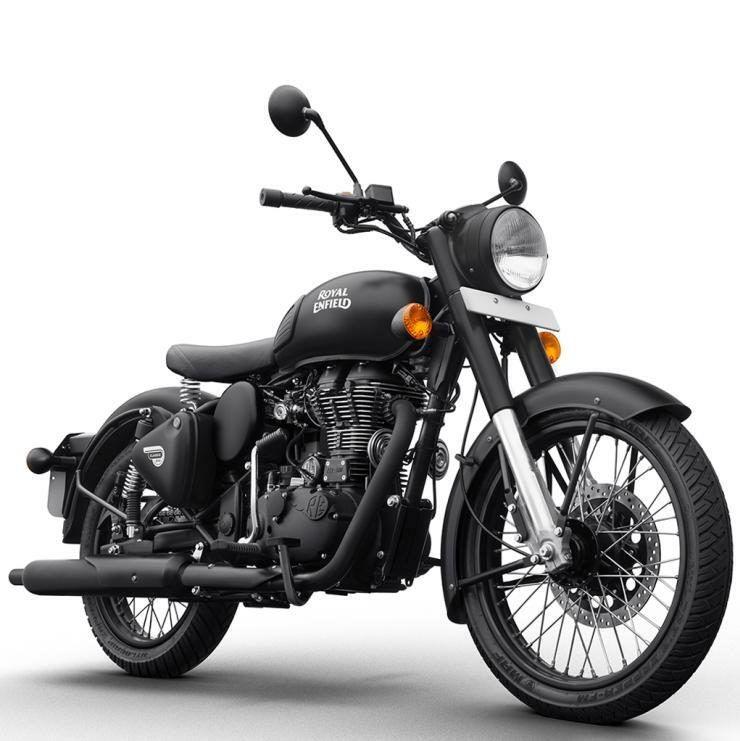 NDTV reports that the prices of the ABS-equipped Classic 500 Stealth Black and Desert Storm will increase by up to Rs. 23,000. 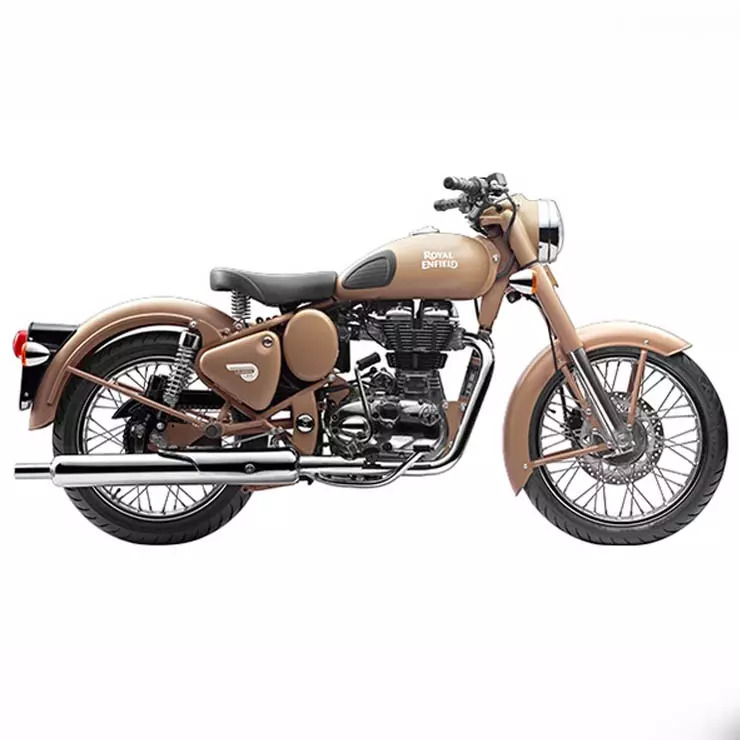 The ABS-equipped Royal Enfield Classic 500 Desert Storm and Stealth Black are said to be priced at Rs. 2.1 lakhs, ex-showroom Delhi. The retro motorcycle-maker launched ABS on the 350-cc Classic Signals Edition 10 days ago, following it up with the Himalayan ABS earlier this week. By the end of this year, every Royal Enfield motorcycle sold in India will get dual-channel ABS as standard, well in time to meet the government mandated deadline for all 125 cc+ two-wheelers in India to be equipped with this feature. Apart from the addition of the ABS unit, there are no other changes on the Stealth Black and Desert Storm Classic 500s. Both motorcycles are powered by a 499-cc, long-stroke single-cylinder four-stroke engine that uses hydraulic tappets. The air-cooled motor makes 27.2 Bhp and 41.3 Nm, and is highly regarded for brute torque at lower rpms. A 5-speed manual gearbox is standard and so is fuel injection. The only differences between the Classic 500 Desert Storm and the Stealth Black motorcycles is the paint scheme. While the Desert Storm gets a sand brown finish on the body, the Stealth Black goes for an all-black theme that’s also carried over to the engine, gearbox and even wheels. It remains to be seen whether the ABS unit that’s available on the Classic 500 range can be retro-fitted to older motorcycles. It should be possible if the dual-channel ABS is a standalone unit. Many Royal Enfield owners in India will be hoping and praying that this modification is possible considering the massive safety benefits that ABS brings to the equation.